President Muhammadu Buhari’s job performance approval rating has increased slightly by five per cent, rising from, 50 per cent as at last month to the current level of 55 per cent. The new performance rating is the outcome of a survey conducted by NOIPolls, a local evidenced – based social and scientific poll company established by former World Bank managing director and Nigeria’s finance minister, Ngozi Okonjo Iweala. The rise in the President’s job performance rating was seen across the six geo-political zones and the North-East zone with 31-points had the highest proportion of Nigerians in this category. This increase in the job approval rating could be attributed to the President’s return from medical leave and the continued deliberations around the Economic Recovery and Growth Plan, with the main objective of restoring growth, investing in and building a globally competitive economy. Additionally, the Central Bank’s policy intervention on foreign exchange which has further improved the value of the Naira in the global market could also have contributed to this increase. Further findings revealed that the rationale for approval of the President’s job performance was centered around the perceived ‘slight reduction in the prices of goods and services’ (25 percent), ‘improved level of security’ (20 percent) and ‘slight improvement in the economy’ (15 percent) amongst other positive reasons. Conversely, 35 percent of the respondents who disapproved of his job performance reported ‘general hardship and high poverty rate’ (40 percent), ‘high cost of goods and services’ (25 percent) and ‘worsening state of the economy’ (15 percent) as reasons for their disapproval. 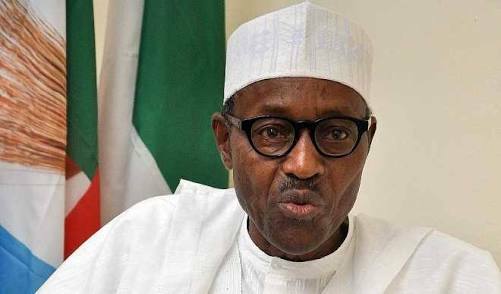 The new job rating for the Nigerian President came on a day the United Nations Development Programme ,( UNDP) declared that though Nigeria made a slight improvement of, 13’pet cent in her human development index (HDI) in a decade the overall yearly ranking has remained unchanged at 152 position where it has been for upwards of more than three years. The result of the Nigeria’s new HDI, which measures and peer reviews countries’ deliberate efforts to improve citizens welfare was made known yesterday at the launch of this year’s Human Development Report by the UNDP in Abuja yesterday. And in what appeared as worrisome to the Nigerian Government following the stagnation of the country on the same position on the global development ladder in spite of efforts yearly by the UNDP on development tips to nations of the world, the Minister of State. Budget and National planning Mrs Zainab Ahmed who was their guest of honour at the launch requested that the UNDP should consider developing a uniquely Nigerian development plan to enable the country record an impact. According to Ahmed: “ I can recall that in May 2016, everyone gathered at the Ladi Kwali Hall of Sheraton to launch the 2016 National Human Development Report with the theme ‘Human Security And Human Development in Nigeria’. After almost a year, pockets of flash points are still visible. This time around, I wish to challenge the UNDP to come up with measures to domesticate and actualise the recommendations in this report. Let me state the report showed a positive outlook for the country as it revealed 13.1 % increase in human development in the last ten years under review (2005-15). She, however, declared that Government was working proactively to address the current economic challenges facing the Nation and to implement policies and programmes that promote human development and are aimed at ensuring that no one is left behind. “ We will also strive to ensure that the disadvantaged communities receive the extra support they need. This includes those living in conflict-prone areas, women and girls, and rural communities. Finally, Government is striving to ensure that human development progress is more resilient to shocks, such as epidemics, economic challenges, conflicts. This is being done through the development and implementation of sound policies and through social investment programmes, “ she further assured. Nigeria which ranked 152 amongst the 193 United Nations (UN) member states in the latest Human Development is followed closely by Cameroon in number 153 and Zimbabwe in 154 position. The report places Nigeria below neighbouring Ghana which is placed 139, Gabon, 109, Zambia also in 139, Equatorial Guinea, 135. The global report was officially launched on 25th, March 2017 in Stockholm, while the Nigeria version was launched Tuesday. According to the report, Norway tops the log as the number one country in the Hunan Development Index and it’s closely followed by Switzerland and Australia which came joint second, Germany on the fourth position and Denmark number five. Speaking at the public presentation of the Report in Abuja yesterday, UNDP Resident Representative, Mr Edward Kallon, called for an urgent action by the government to sustain the gain. NMNA convener sympathizes with DR Bello M. Matawalle over the demise of his mother.